Introducing cheerful font duo Lemon Balm with 70 line art illustrations. 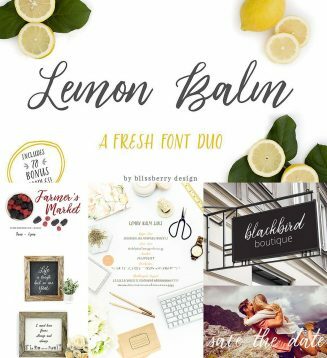 This duo takes the guesswork out of font pairing. File format: .otf, .ttf, .png, .ai for Photoshop or other software. Tags: brush, doodle, feminine, font duo, line art, modern calligraphy, romantic, rustic.